If one of our juicy patties doesn’t sound like it will be enough for you, double your pleasure! 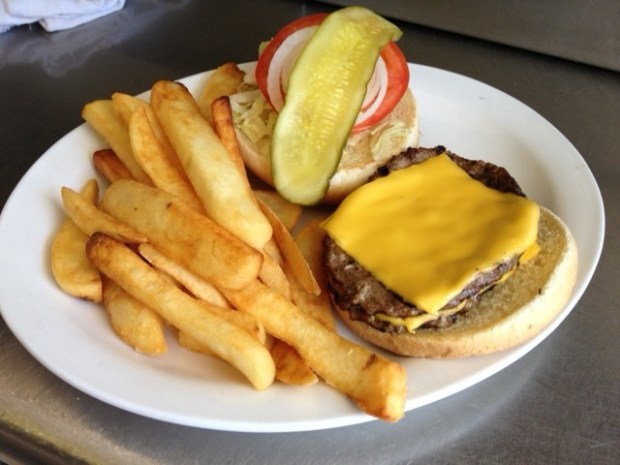 Featuring two of our juicy quarter-pound beef patties has been popular since we opened nearly 40 years ago! But if even two isn’t enough, stack them as high as you want for only an additional $1 per patty! Served with lettuce, tomatoes, onions and pickles. Served with our delicious steak fries or substitute baked potato.